Here at Original Medical Equipment Company pvt.ltd we are also manufacturer and suppliers of Adjustable IV stand for hospitals, clinics and other medical care institutes or home based healthcare etc. IV stands also known as IV Pole, IV rod or Saline Stands. 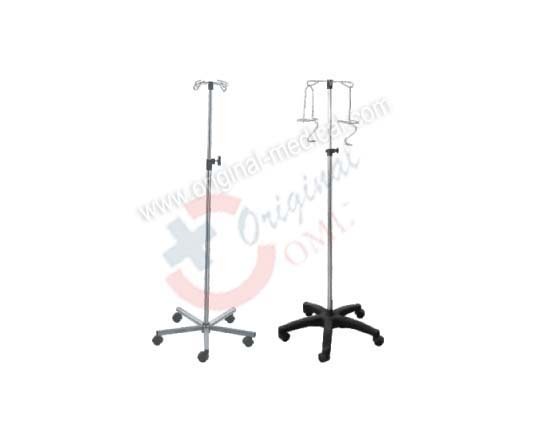 We provide best quality stainless steel medical IV stands as a hospital supplies. SS I.V rod with height adjustable.Plastic base with castors. Also contact us for Wheel Chairs, iv stand parts, Syringe Pump Trolley, Infusion Stand etc..